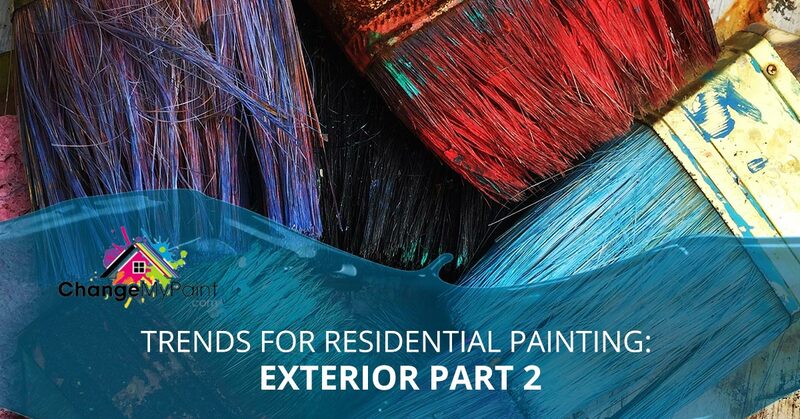 Welcome back to our residential painting trends for your exterior. In our previous blog, we discussed the rise of all-black and all-white painting due to the attraction of high-contrast style elements. These color palettes are derivative of the rise of contemporary designs which value high-contrast styles. Out of our favorite trends from 2018, we’re left with the change in preference of neutral combinations. If you’re intrigued by the all-black style but you’re not a fan of such a harsh color all over the facade of your home, you might look to this example instead. The middle ground of grey and dark grey allows you the freedom to experiment with pretty high-contrast elements by contrasting the house from its surroundings. This easily gives dimension and appeal to your home without having to venture into extremes. If you admire subtly and find appeal in the French countryside aesthetic, you’ll adore the combination of French greys and gentle creamy hues. This color scheme is especially attractive if you’re missing the look and feel of Paris itself. Imitate those beautiful Parisian buildings with this paint scheme with dove grey doors and accents, you could even go a step further and match them to the pretty grey of your shingles. This palette is very doable because of how HOA-friendly it is. If you like the idea of some black in your house, think of using a black trim. It works like a well-planned underline on a sprawling page of script. If the architectural prowess of your house is endlessly interesting, this is the perfect way to highlight them without changing the color of the entire house and aesthetic. This is perfect for large windows, and if it’s paired with a white, or cream hued exterior, it’ll provide a beautiful, modern European feel to any structure. If you have a house in suburbia, they’ll often be sporting brick or stone. Recently, it’s become very in-vogue to compliment the bottom portion of a home with natural colored wood to provide a two-tone look that breaks up the monochromatic look some houses have. The perfect way to highlight these natural elements is with a darker painting tone. 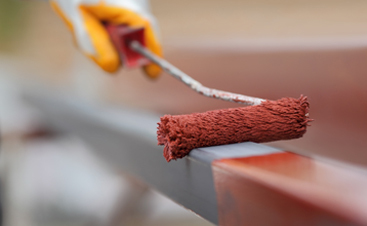 Many professional exterior painters suggest a dark-hued grey or very dark green that looks particularly stunning against tall, lush trees and greenery as the background. If you’re interested in trying to tap into some of these styles turn to your neighborhood residential painter. Carolina Painting and Pressure Cleaning specializes in making your house look stunning and unique through our exterior painting contractor qualifications and skills. We’re excited to make your Lexington home look brand new and even more gorgeous than before. Contact us to start discussing your project and what would look best in your home. We’re eager to hear from you. 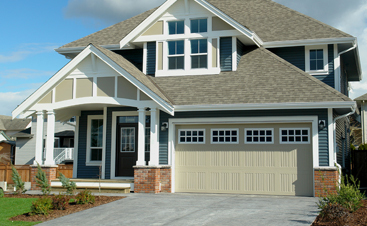 Be sure to check out our gallery of residential interior painting as well as exterior painting. Our expansive portfolio exhibits our care for detail and passion for the business. Our next featured masterpiece could be your home.